The Telegraph reported that the streets of Bath are lined with nearly 200 hundred stalls full of Christmas cheer. Peruse kitchenware, clothes, handmade crafts, toys and more. Once you've finished your shopping, your grand children can enjoy ice skating or mini golf at Royal Victoria Park, and the whole family can catch a show at Theatre Royal. Bath is also home to Bollywood Christmas, a section of the market that brings Indian culture to traditional celebrations. Scotland is also full of Christmas Markets, and from early November through New Year's day, visitors can enjoy shopping and other celebrations with a Scottish twist. Local food and drinks give the Edinburgh Christmas markets a unique flair. The Edinburgh's Christmas spectacular is among the largest in Great Britain, and according to Time Out, there are light shows, fireworks displays and an opportunity to meet Father Christmas himself. Edinburgh Castle is a particularly beautiful sight around Christmas time. 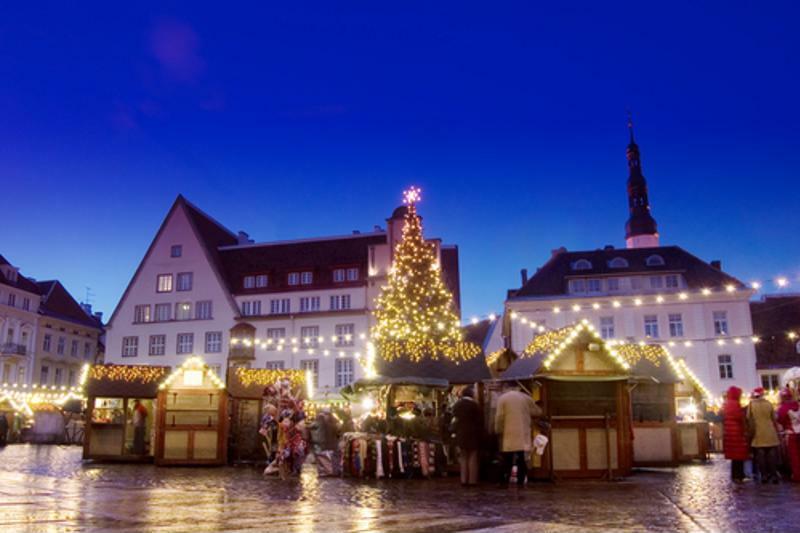 Christmas markets are a wonderful way to enjoy the season. The nation's capital is home to dozens of great markets that offer shopping, caroling and other great ways to celebrate Christmas, according to Visit London. Sample mince pies and other treats while you check out locally made crafts or other gifts. You may choose to visit some of the more well-known spots such as the Southbank Centre's Winter Market or the Winter Wonderland's market in Hyde Park. Or you may look for smaller fairs or shopping districts. Go and search for the perfect present or bring the family to celebrate some seasonal cheer. There are many Christmas markets to enjoy in Manchester, including a German-style celebration in St. Ann's Square and a French market on King Street. The official Manchester Christmas Market, however, is one of the best ways to experience what Manchester has to offer during the winter. The Telegraph stated that almost one million visitors will head to Manchester during the festive season. Aside from European-style markets, there are other international stands that offer gifts, crafts and food to try. Though many cities in Great Britain have themed shopping centres and special celebrations, the Frankfurt Christmas Market in Birmingham is one of the most distinct places to check out. Here, community members come together to feast on pretzels, marzipan and other treats amid local music and shows. Just down the street, the Christmas Craft Fair at Chamberlain Square is perfect for homemade crafts and other items. These would be great additions for a grandchild's stocking. No matter where you chose to shop, Christmas markets across Great Britain offer merriment and celebration that perfectly captures the spirit of the season.